Smartphone maker Motorola has announced temporary price cuts to the G series of smartphones on Amazon. The reduced prices are valid from February 13 to 15. The offer applies to the Moto G5, G5 Plus, the Moto G5s and G5s Plus. Whilst other companies have introduced special editions, mostly in red colour for Valentines week,Motorola has decided to sell their stock hardware at slashed prices. The latest Moto G5s and Moto G5s Plus have also got an extra up to Rs. 2,000 off on exchange. Here are the complete details of the offer. To recall, the Moto G series comprises of a mid-range lineup from the company. The current lineup consists of the Moto G5, G5 Plus, the Moto G5s, and the G5s Plus. This lineup has got price cuts and exchange benefits on Amazon from February 13 to 15. Starting with the latest Moto G5s Plus, the phone is available at a price of Rs. 13,999 after a discount of Rs. 3,000 on the MRP. You can get the Moto G5s Plus here. The Moto G5s is also priced at Rs. 11,999 after a 20% (Rs. 3,000) discount. You can get the Moto G5s here. Both the phones also get an extra cashback of up to Rs. 2000 on exchange. 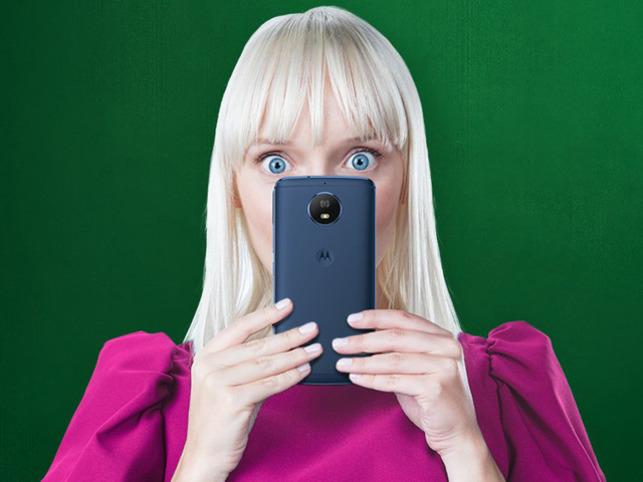 Coming to the Moto G5 Plus, the phone is now selling at a price of Rs. 10,999 after a discount of Rs. 6,000. You can get the device from Amazon here. Lastly, the most affordable device in the lineup, the Moto G5 is available for Rs. 8,49. The device has received as much as 29% discount, giving it a price cut of Rs. 3,500 on the MRP. You can get the Moto G5 here.